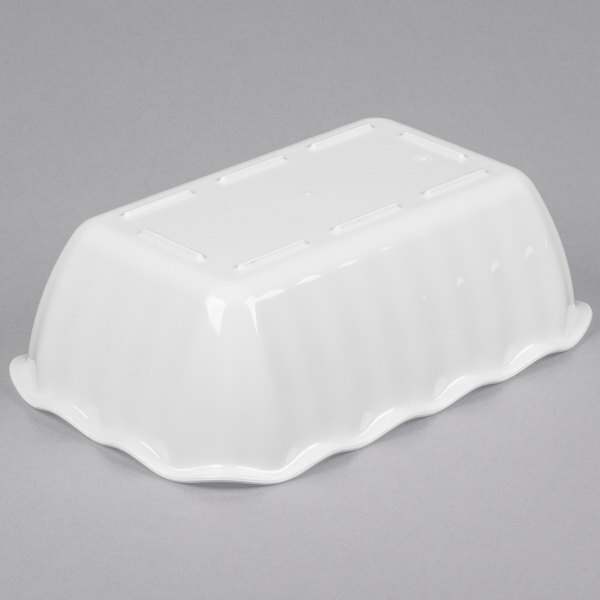 This Cambro DC5148 white 2.2 qt. 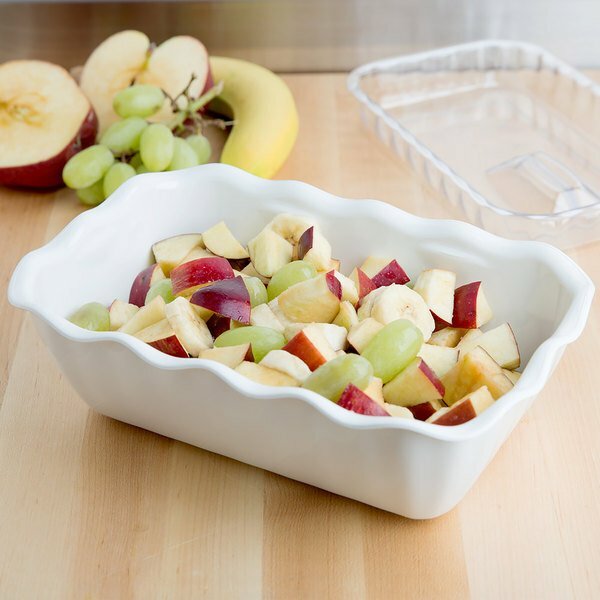 deli crock lets you prep, store, and sell all-in-one contemporary style container. 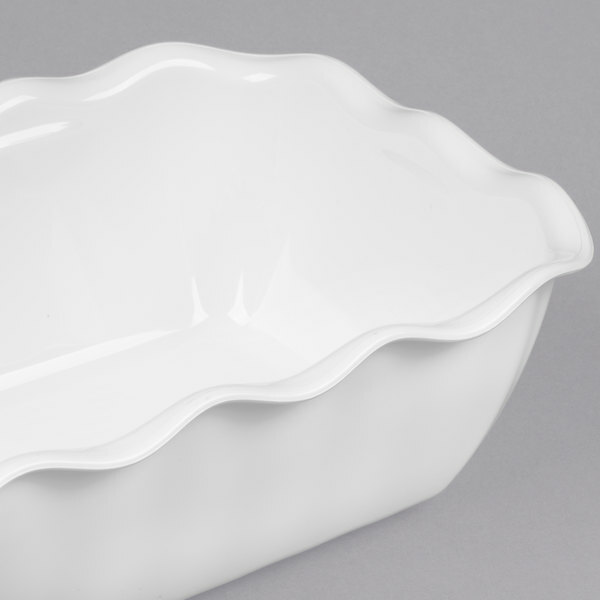 Made of high-impact SAN plastic, it resists stains and odors left behind by vinegar, salad dressings, or salad oils, so there's no unwanted residue after use. 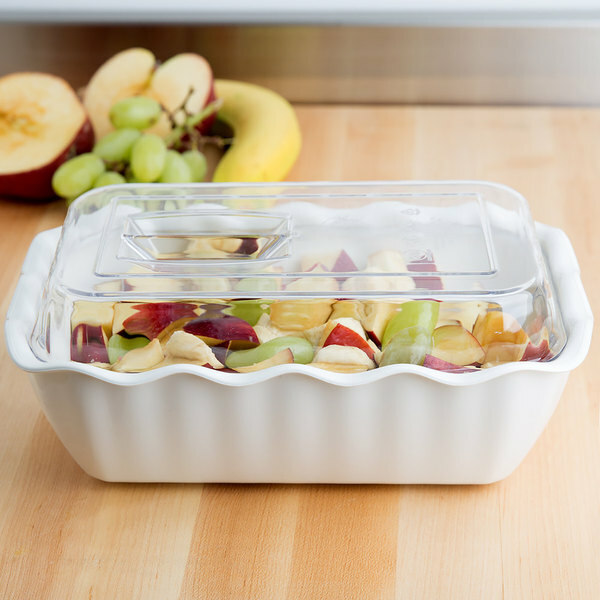 This helps prevent cross contamination in a busy kitchen, and it keeps your deli crock looking clean and professional, even after many uses. 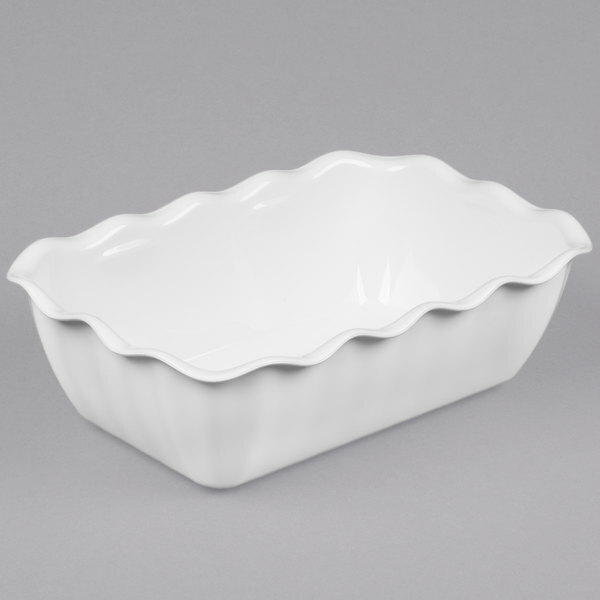 For extra versatility, this crock can withstand temperatures between -40 and 160 degrees Fahrenheit! 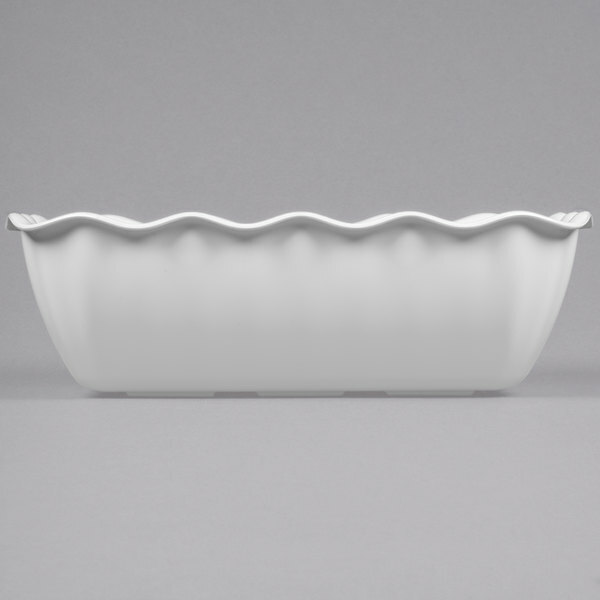 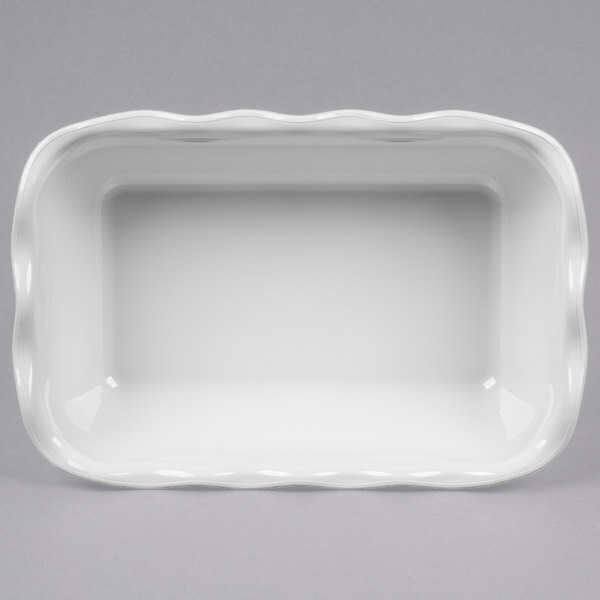 The rectangular shape and wavy rim provide a contemporary look that looks great at buffets, supermarket delis, or catered events. 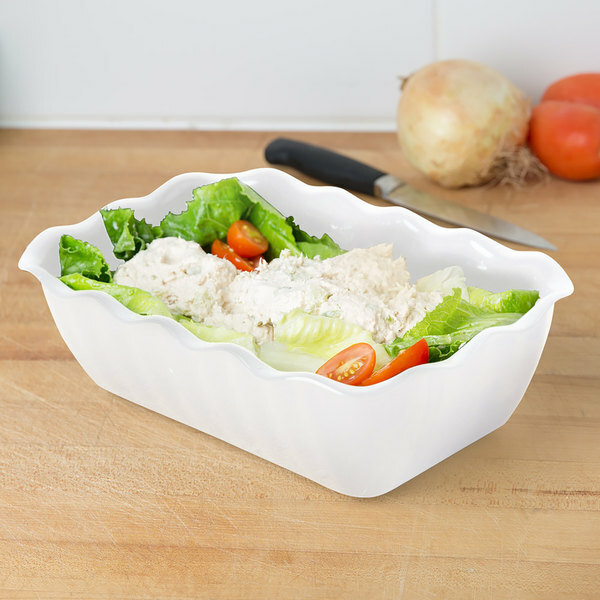 Simply pair this crock with a compatible lid (sold separately) so you can also prep and store your foods in the same container! 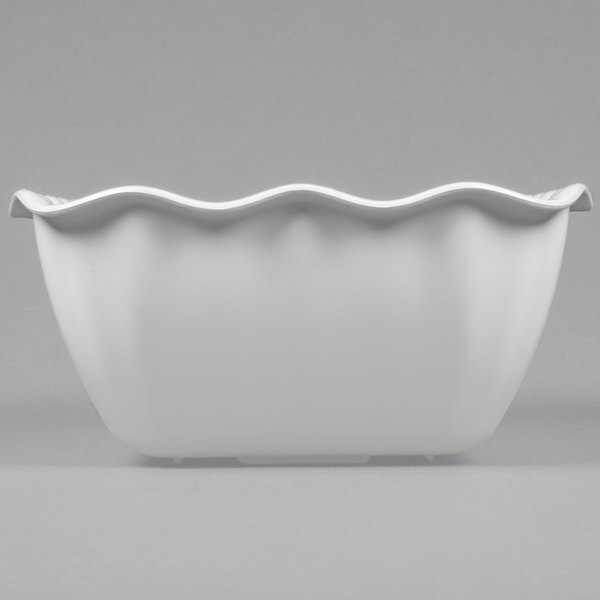 Plus, the surface of the deli crock is smooth and easy to wipe clean when you are done.